San Diego Chargers quarterback Philip Rivers and tight end Antonio Gates will not participate in this Sunday’s Pro Bowl, after both were added to the roster last week. Safety Darrell Stuckey will play in the game, though, as a special teamer, and will replace New England Patriots special teamer Matthew Slater who can’t play in the game because his team is in the Super Bowl. This will be the first time that Stuckey will play in a Pro Bowl. Gates was selected to the roster to replace Patriots tight end Rob Gronkowski, but declined the opportunity to go to his ninth Pro Bowl. Rivers declined the option to play in the game, as he is still recovering from a lower back injury that hampered him most of last season. 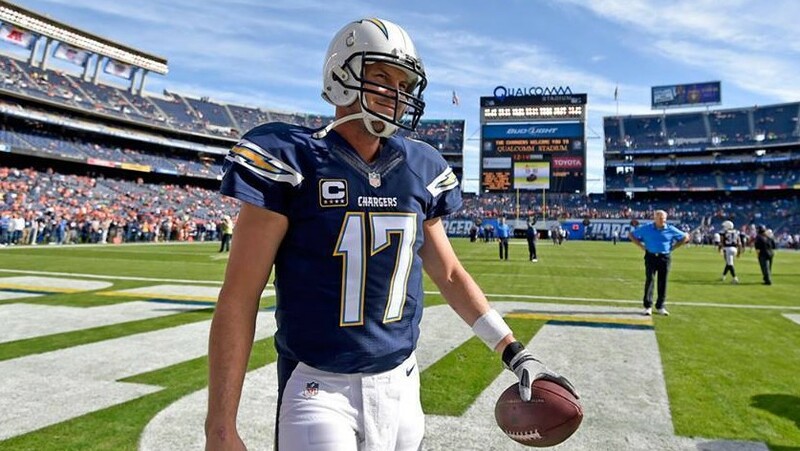 It would have been Rivers’ sixth Pro Bowl appearance, and he was selected to the team after Patriots quarterback Tom Brady, Pittsburgh Steelers quarterback Ben Roethlisberger and New Orleans Saints quarterback Drew Brees were not able to play in the game. Left to represent the Chargers will be safety Eric Weddle who was originally voted onto the roster, and Stuckey. For a third year the Pro Bowl teams will not be split up by conference. NFL Hall of Famers Michael Irvin and Cris Carter will pick teams in a fantasy draft style this Wednesday at 5 p.m. on NFL Network. The Pro Bowl will be played this Sunday at 5 p.m. on ESPN.